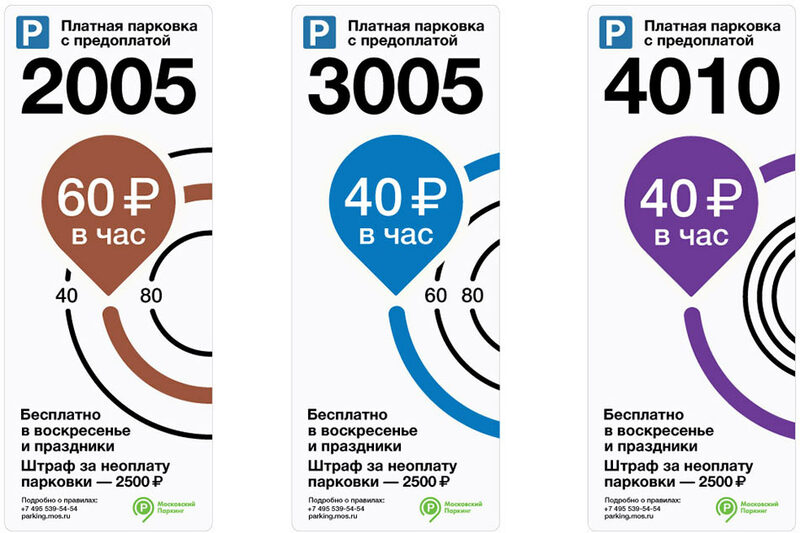 Compact version of the new Moscow guide for visitors and natives of the city is developed by Art Lebedev Studio and the Department of Transportation. Folding Booklet perfectly lies in the hand and easily fits in a pocket of a backpack. There are two types of the guide. The first one contains information about Moscow transport, the second offers interesting walking routes. In the first guide, you will find the layout of railway stations and airports with instructions on how to reach them at one side of the booklet. Here you can also find information where to buy tickets, the peculiarities of the legal taxi and published announcements of mobile applications that help to get to the desired point of the city in time. The reverse side contains a scheme of the Moscow metro with an alphabetical index of stations and land transport routes within the Garden Ring. In addition, there is a schedule and a scheme of motion of buses, trolleybuses and trams running only at night and around the clock. The guide is available in the most common world languages. The second guide offers interesting routes for people who prefer to move around the city by foot, bike or roller skates, spending time outdoors and learn interesting facts about the surrounding places. Each booklet contains a brief description of the map points through which the route passes. Motion path is chosen so that you could see maximum of fascinating places to visit and get many impressions.